Scientists have just made a big new finding about the woolly mammoth, and it could totally change how we think about this ancient animal. A big new discovery could tell us an astonishing truth about why the woolly mammoths went extinct, and the story paints a truly bizarre end for this ancient giant. Based on a study of their DNA that looked for genetic mutations, it appears the animal had a genetic makeup that was completely messed up just before its demise. 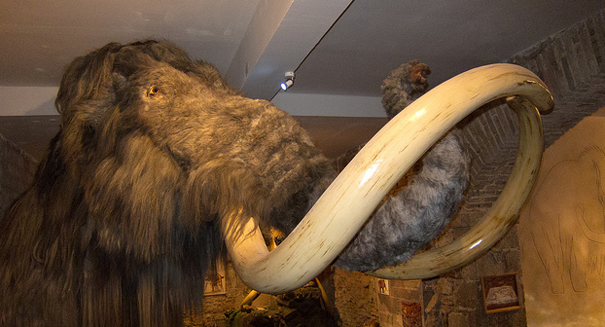 Genetic disease so ravaged the animal that they had lost their sense of smell, they had a shiny coat, and they avoided other mammoths, according to the paper, which was published in PLOS Genetics. This finding is important not just because it could help scientists better understand mammoths, but because it could give clues in helping other species prevent extinction. Scientists believe that just a few hundred woolly mammoths lived on Wrangel Island in the Arctic Ocean 4,000 years ago, right before its end. #36. Hebrew – SILONI or SILONIT describe elephant-like Fourth Plague upon Egypt. These numbered examples are plodded on a Map of Eurasia, Beringia, Arctic America, Horn of Africa and Egypt. “Out of Eurasia” such words for MAMMOTH & ELEPHANT were brought to Northern Africa.